When we combine random variables that each follow a normal distribution, the resulting distribution is also normally distributed. 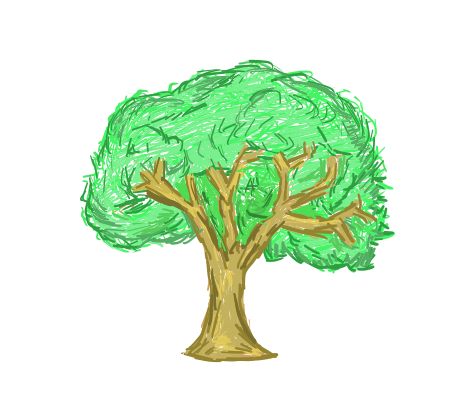 This lets us answer questions about the resulting distribution. Andy, Bob, Craig, and Doug play a round of golf together each week. Each of their scores are normally distributed with a mean of 70 strokes and a standard deviation of 5 strokes. Find the probability that the sum of their scores in any given week is higher than 300 strokes. Step 1: Find the mean number of total strokes. Step 2: Find the standard deviation of total strokes. 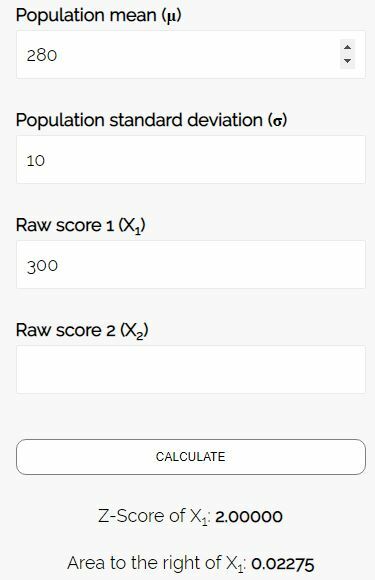 Step 3: Use the Z Score Area Calculator to find the probability that the sum of their scores in a given week is higher than 300 strokes. The probability that the sum of their scores in a given week is above 300 is 0.02275. Meredith and Angela are both saleswomen at a paper company. Meredith’s weekly sales are normally distributed with a mean of 50 sales and a standard deviation of 2 sales. Angela’s weekly sales are normally distributed with a mean of 45 sales and a standard deviation of 2 sales. Assume that their sales in any given week are independent. Find the probability that Angela has more sales than Meredith in a randomly selected week. Step 1: Find the mean of the difference in sales. Step 2: Find the standard deviation of the difference in sales. 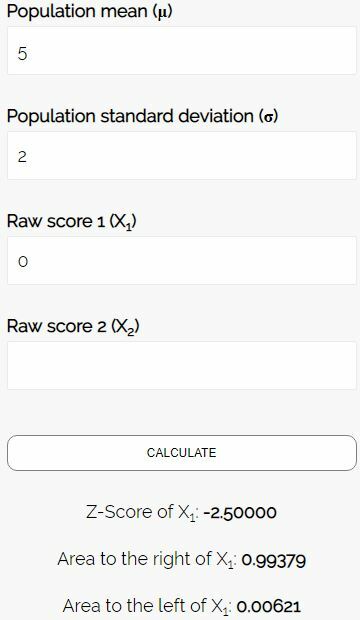 Step 3: Use the Z Score Area Calculator to find the probability that the difference between Meredith and Angela’s sales is less than zero in a given week. The probability that the difference between Meredith and Angela’s sales is less than zero in a given week. (i.e. Angela sells more) is 0.00621. Mike, Greg, Austin, and Tony play a game of bowling each week together. Each of their scores are normally distributed with a mean of 100 and a standard deviation of 5. Find the probability that the sum of their scores in any given week is lower than 415. 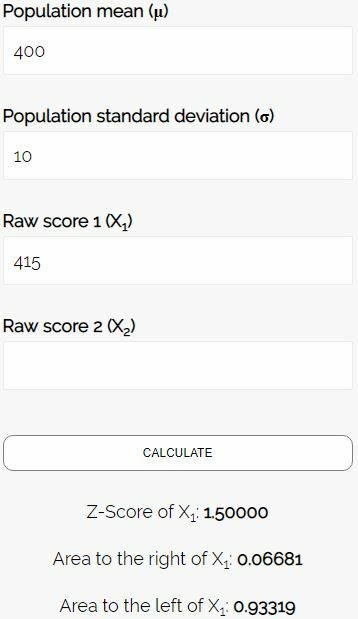 Step 3: Use the Z Score Area Calculator to find the probability that the sum of their scores in a given week is lower than 415. The probability that the sum of their scores in a given week is below 415 is 0.93319. Cody and Kyle are both salesmen at a sneaker company. Cody’s weekly sales are normally distributed with a mean of 30 sales and a standard deviation of 2 sales. 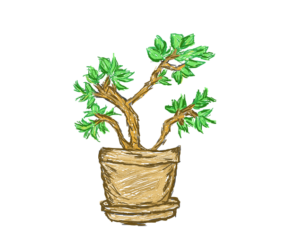 Kyle’s weekly sales are normally distributed with a mean of 25 sales and a standard deviation of 2 sales. Assume that their sales in any given week are independent. Find the probability that Kyle has more sales than Cody in a randomly selected week. Step 3: Use the Z Score Area Calculator to find the probability that the difference between Cody and Kyle’s sales is less than zero in a given week. The probability that the difference between Cody and Kyle’s sales is less than zero in a given week. (i.e. Kyle sells more) is 0.00621.